A senior at Vista Murrieta High School has been selected as a delegate of the Congress of Future Science and Technology Leaders, to be held in Lowell, Massachusetts from June 29 through July 1, 2016. 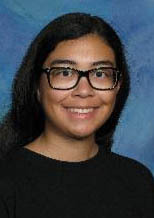 Katherine Correa will participate in the honors-only program for high school students who are passionate about science, technology, engineering or mathematics (STEM). According to a news release, the purpose of the event is to honor, inspire, motivate and direct the top students in the country who aspire to be scientists and technologists. Katherine was nominated by former astronaut Buzz Aldrin, science director for the National Academy of Future Scientists and Technologists. Katherine will join students from across the country to hear Nobel Laureates and National Medal of Science winners talk about scientific research.